Do you have one or more old computers sitting around your house that you don't use anymore? Maybe they're broken, or maybe you think they're so old that no one else could possibly get any use out of them. Either way, you don't want them to keep taking up space in your house, but you aren't sure what you should do with them. 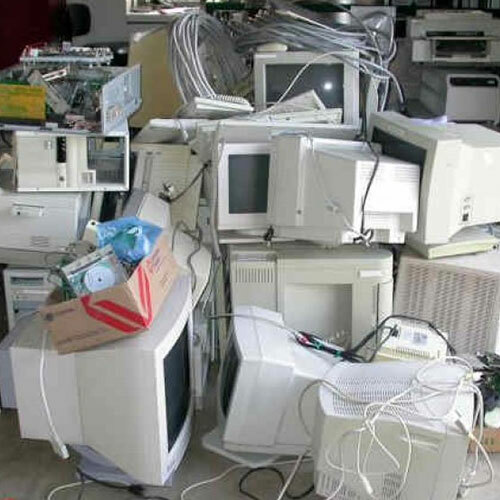 Don't Throw Away Your Old Computer! The big thing to remember here is that you should never throw a computer away with the rest of your typical household trash. This is a huge mistake. 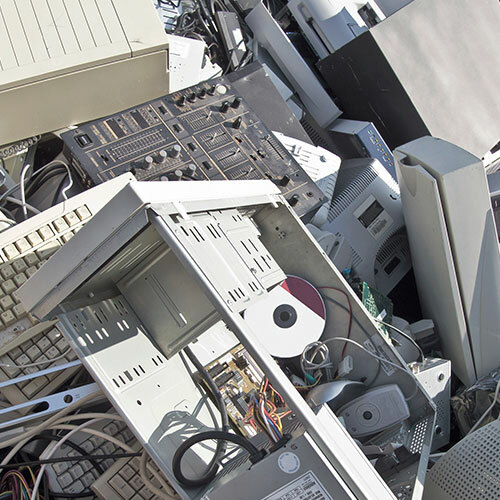 Computers are full of all kinds of different parts, many of which are made out of materials that would be damaging to the environment if they were to end up in a landfill. Some materials can make the ground toxic, while others can seep down into the water supply and pollute it, while others may be eaten by birds and other animals and harm them. 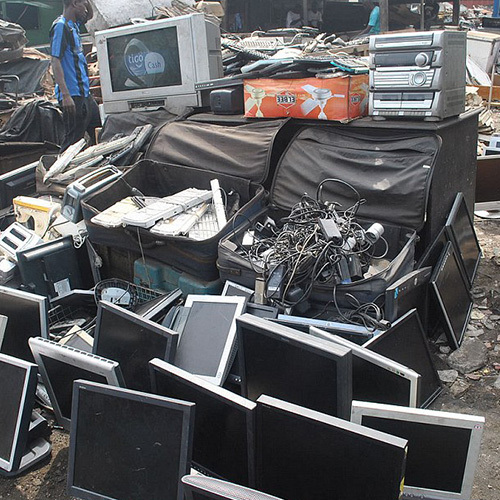 No, throwing a computer away is an environmental disaster waiting to happen, and it will, sooner or later if that computer ends up in a landfill.If you can't safely throw it away, and you don't want it at your house anymore, what do you do? That one is easy. You call Flat Rate Junk Removal. What Makes Flat Rate Junk Removal Different Than Other Junk Hauling Companies? At Flat Junk Removal we take away all kinds of junk that should be recycled, not discarded, and safely dispose of it for you, all for one low, flat rate price. 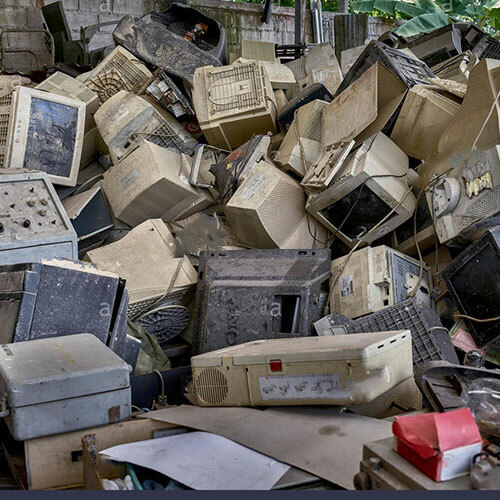 This is revolutionary in the junk removal industry, since most companies like ours charge by weight or by volume, which can vary considerably, depending on what you want hauled away. We, on the other hand, charge one flat rate, and that is all you will ever pay, regardless of what your junk weighs or how much space it takes up in our truck. Just call us to book an on-site appointment, so we can see what you have that you want removed. We will quote you one, easy, affordable flat rate price. We will then return at an agreed upon time to pick up your old computers, or anything else we remove that you want us to take. 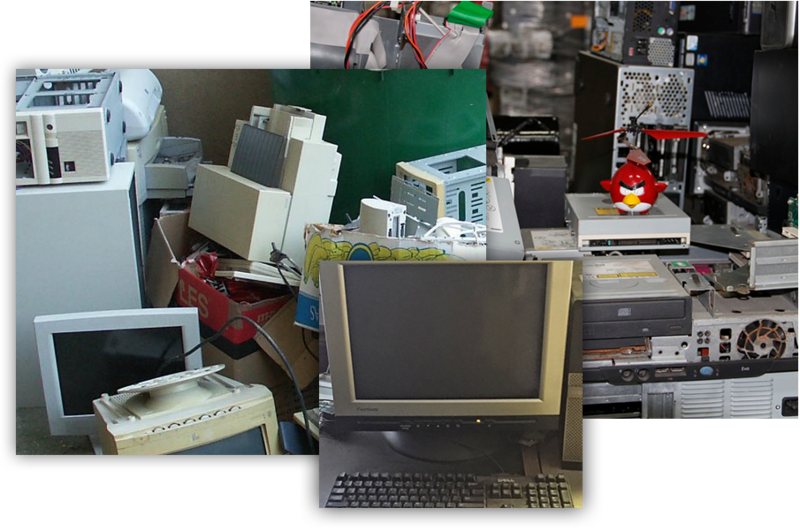 We then recycle and donate as much of the items or their parts as we can, and safely, responsibly dispose of the rest. 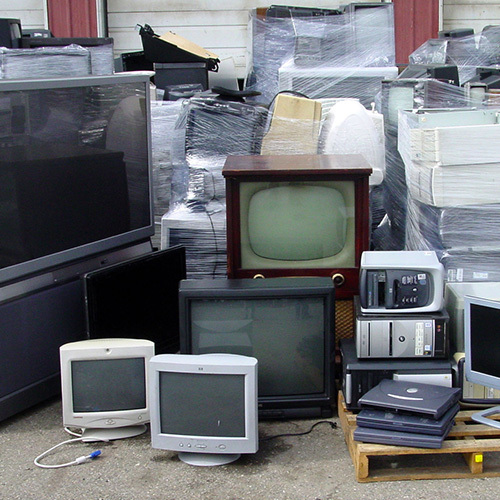 You're helping your community and the environment when you use Flat Rate Junk Removal. Call us today.